Maximum sale price this year is $2.1 million (Which happened to be a Montemayor & Associates listing on Wildwood Canyon Road). Minimum sale price so far this year is $85,000. The average sale price of a home in Newhall is currently $337,480. Median price is $230,000. 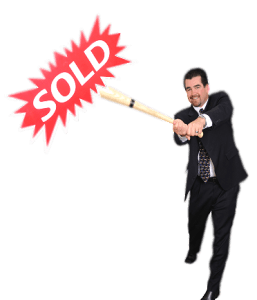 Is it time to sell your Newhall home? From the inventory numbers above, if you are considering selling your Newhall home, now is a great time. Mortgage applications are up, and while interest rates have ticked up slightly, they are still holding at near record lows. This low level of inventory, combined with an effective listing strategy, will assure buyer activity on your home. Many home sellers in the Santa Clarita Valley are seeing multiple offers on their properties and in some cases, offers coming in at ABOVE the asking price. An agent or team who will be there every step of the way from the day you sign your listing agreement, until the day you close escrow; and will answer any and all of your questions and concerns effectively and in a timely fashion. An agent or team who puts your wants and needs first before anything else. Montemayor & Associates IS that team! It’s easy to get started to find out what your home is worth AT NO OBLIGATION TO YOU. Just click here to fill out a home valuation request, and one of our team members will respond with a Comparative Market Analysis (CMA) that will provide you with everything you need to know regarding the fair market value of your property. Or you can call us at either of the numbers listed at the top of the page, or even shoot us a quick message using the instant contact form below. We’re ready to answer all of your questions and help you get top dollar for your home.